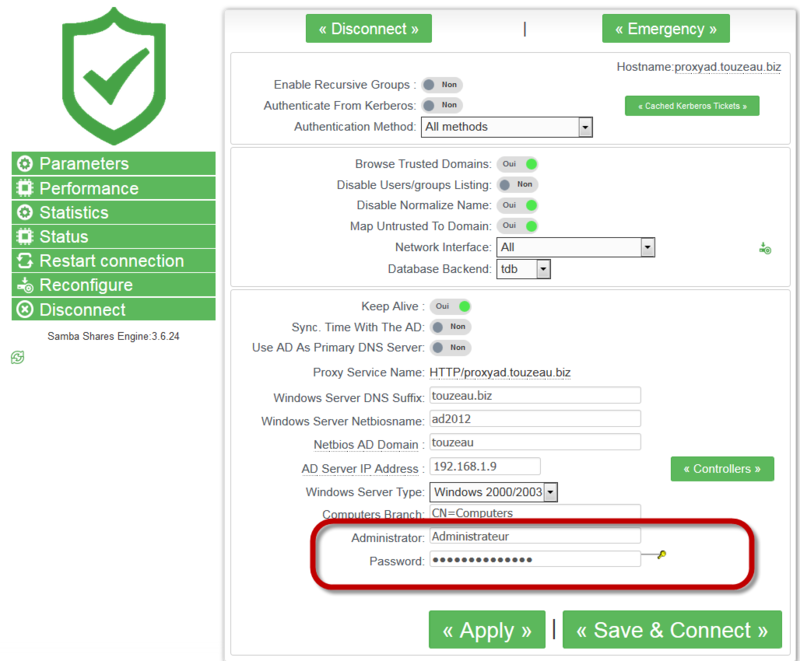 It is used to join the Artica computer to the Windows Domain. This account require administration privileges. 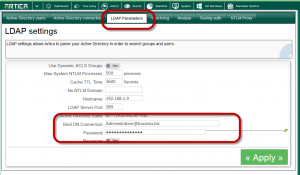 It is located in the main Active directory connection section. 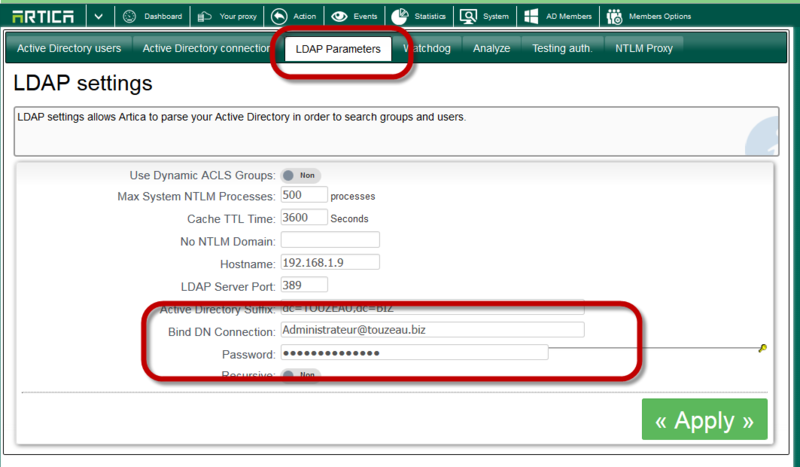 It is defined in the LDAP parameters in the Active Directory section. It must be in the user@domain form. It require just access in “Read-only” mode.